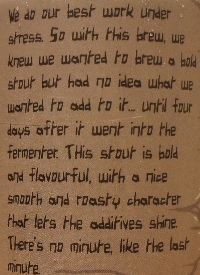 Brewer Description: (from can) We do our best work under stress. So with this brew, we knew we wanted to brew a bold stout but had no idea what we wanted to add to it… until four days after it went into the fermenter. 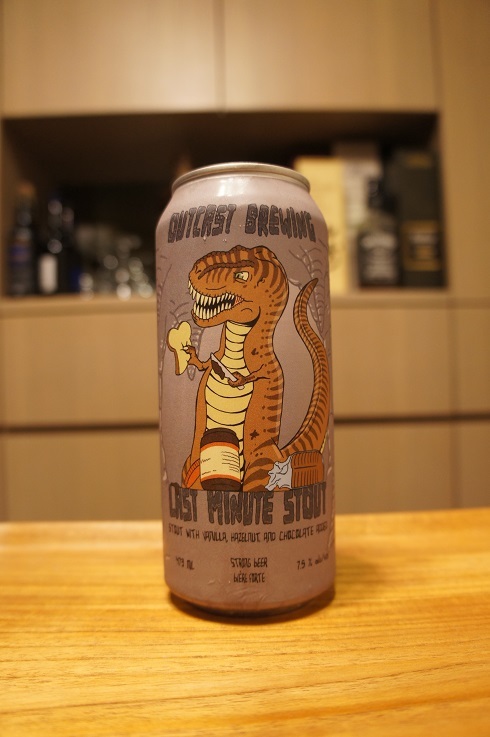 This stout is bold and flavourful, with a nice smooth and roasty character that lets the additives shine. There’s no minute, like the last minute. Intro: A 473ml can, with a canned on date that really isn’t too visible, but I would guess 1st November 2017, ‘nearly didn’t happen’. Poured into a snifter glass. Appearance: A dark dark brown to black colour with a one finger tanned head that dissipated fairly quickly but left some nice spotty lacing. Aroma: Vanilla, chocolate, cocoa, hazelnut, cream, honey with light roastiness and a touch of coffee. 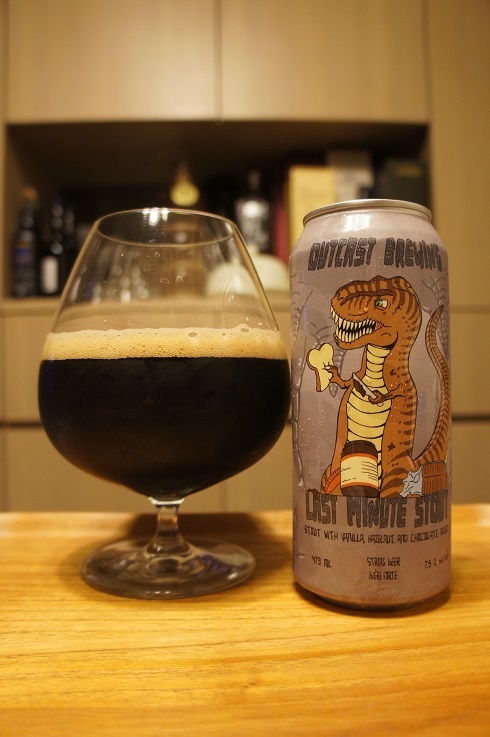 Taste: Sweet-ish, light roast, vanilla, creamy coffee, hazelnut, caramel malt, biscuit, coffee and chocolate with a lightly earthy herbal finish. Mouthfeel: Smooth, medium bodied with moderate to light carbonation. Overall: Nice and tasty with good vanilla, creamy and nutty flavours.